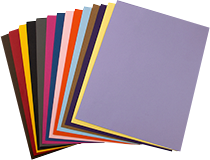 We Offer a Breadth of Products & Printing Services to Meet Your Needs. 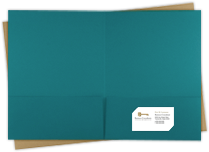 With hundreds of envelope and cardstock colors and sizes to choose from, creating cohesive, matching business campaigns and invitation suites is simple. Our wide array of products allows you to provide unique and limitless options to your clients. The Envelopes.com swatchbook is available with free shipping, providing a tangible reference for personal or client use. 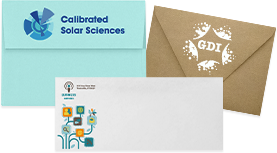 Whether looking for white ink or metallic printing, or variable addressing, you are in creative control. Upload your artwork with ease and receive a free digital proof. Blind shipping is available at your request.